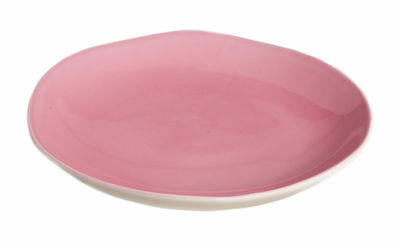 Brigitte de Bazelaire, color designer : you'll go banana for this set of ceramic plates and bowls. 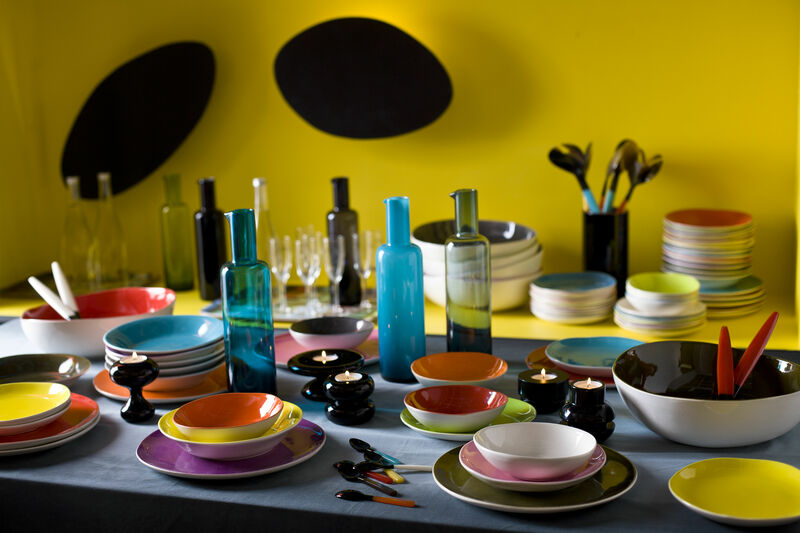 Play on layering plates, try mixing colors which will give your table a very creative touch ! Like an artist, find inspiration and decorate your table mixing tones. These plates compose a genuine color palette. Very graphic, you'll be seduced by their original look and their irregular rim. This set is realised with a nice, colorful and bright enamelled ceramic, with natural enamelled white for the other side.